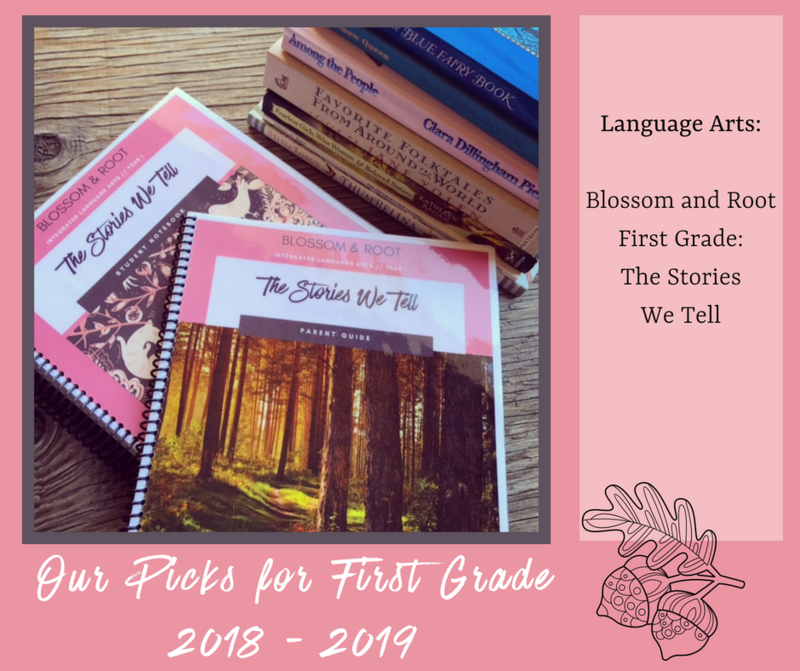 The main resource we will use for language arts and reading is Blossom and Root First Grade: The Stories We Tell. 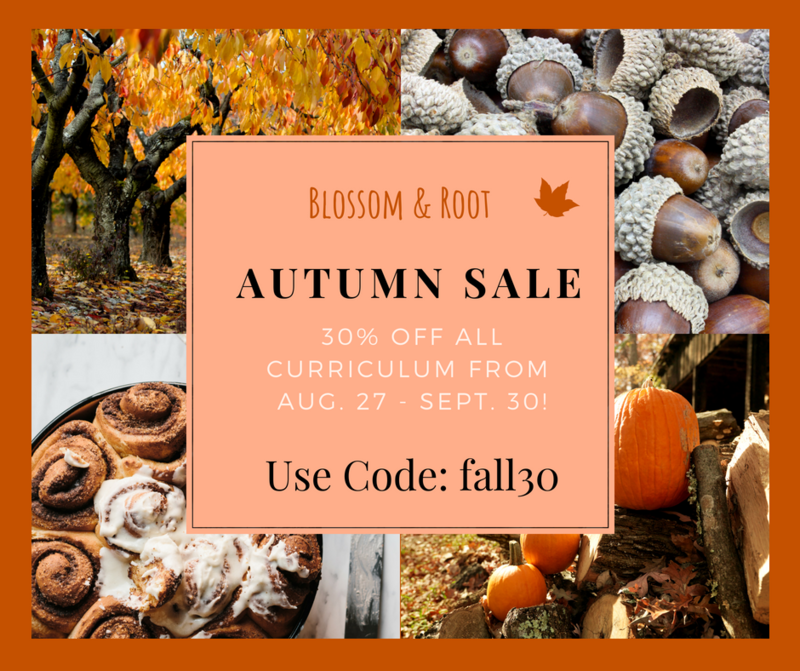 Based on nature stories, classic fairy tales, and world folktales, this curriculum incorporates lots of hands-on, creative narration activities (e.g. puppet shows and peg doll dramatic play); mini deep-dives (e.g. exploring the differences between spiders and harvestmen while reading stories from Among the Meadow People); journaling; oral narration; early reading foundations; and copywork. 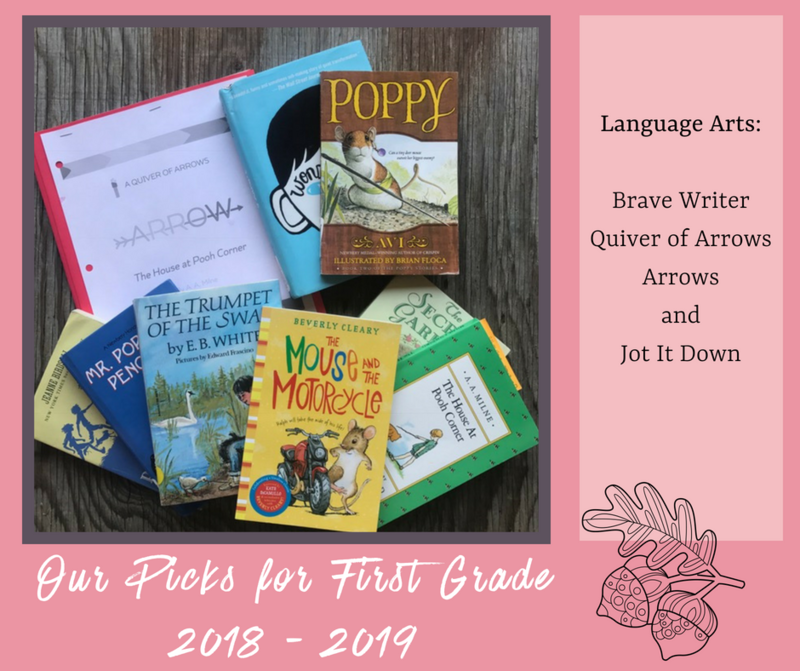 In addition to our core curriculum, we will also be using two Brave Writer curriculum resources: the Quiver of Arrows and Arrows guides and books, and Jot It Down. The Quivers / Arrows are excellent resources for learning about writing mechanics, literary elements, and more. Jot It Down is a fantastic creative writing project curriculum that we’ve been using for three years now. We love revisiting the projects with a new twist and are especially looking forward to more fairy tale projects and making mini-books. We are so excited to continue using the Brave Writer resources we already love! 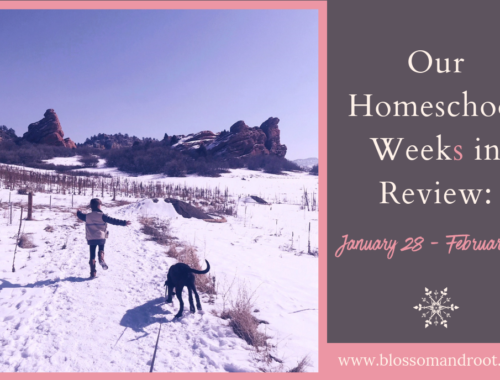 Because we are a Brave Writer family, we also love to incorporate elements of the Brave Writer lifestyle. One of those elements is the use of word play / language games. 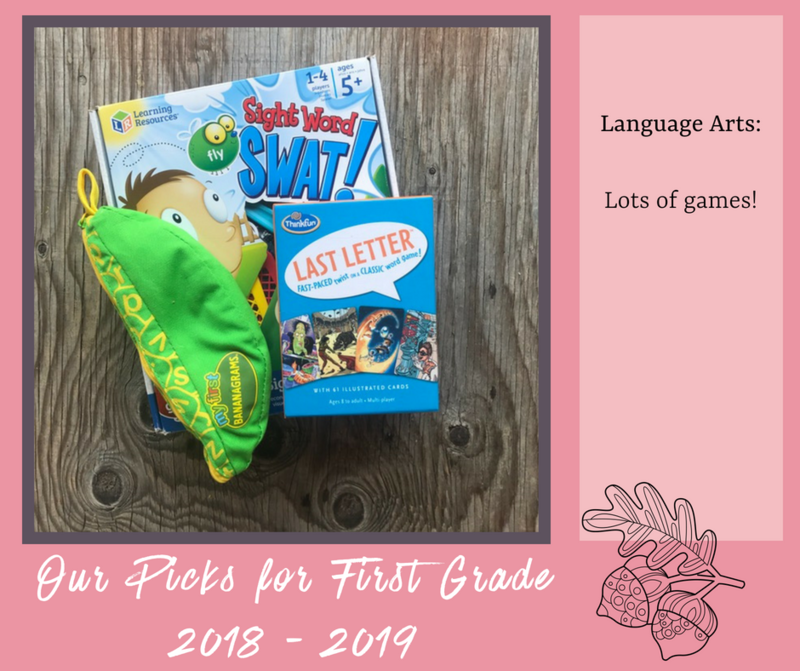 We do a lot of informal word play by making up silly rhymes and songs throughout our day, but we also love to add in regular game nights with plenty of reading and language games. Some favorites include Last Letter, Bananagrams Jr., and Sight Word Swat. 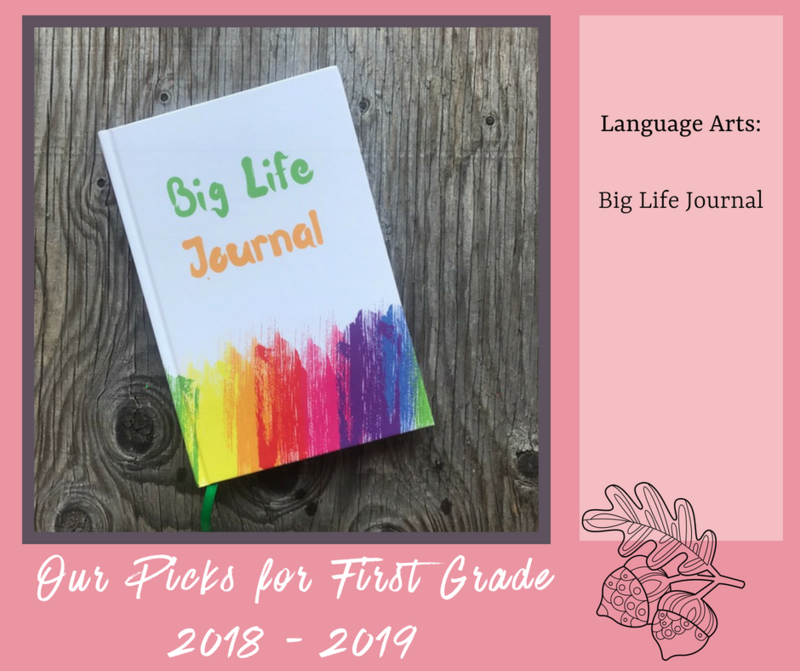 Our final language arts resource is The Big Life Journal. I discovered this on Instagram over the summer and love the idea so much! 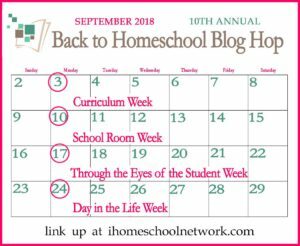 It’s a weekly journal entry that you complete together with your child, with a focus on growth mindset and making a positive impact on the world. 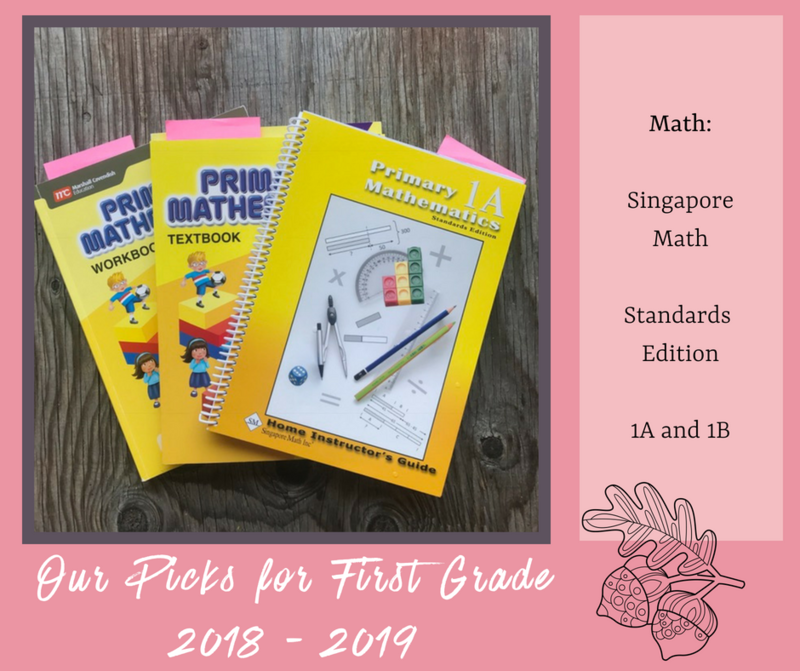 For our core curriculum in math, we will be using Singapore Math 1A and 1B, standards edition. Blake actually really loves Singapore Math–it seems to really click with her. We don’t rush through it, and I use the teacher’s guide which gives a ton of ideas for hands-on exploration, games, etc. For awhile, I considered Right Start Math, which looks fantastic, but Blake really loves Singapore and if it’s working, why mess with a good thing? Another great discovery I found on Instagram over the summer was Wild Math. This program is a perfect fit for our family! I keep it in our hiking backpack and we use it all of the time when we’re out on the trail, playing outside, etc. 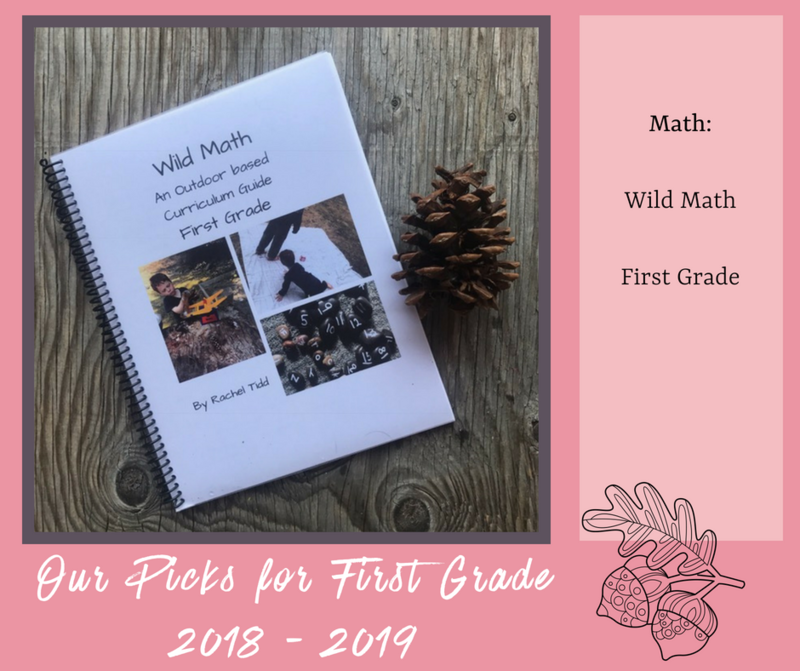 It is full of ideas for exploring math concepts in the great outdoors. Just the other day, we made a ten-frame out of sticks and then used that to gather 10 groups of 10 small twigs for a collection of 100 things. 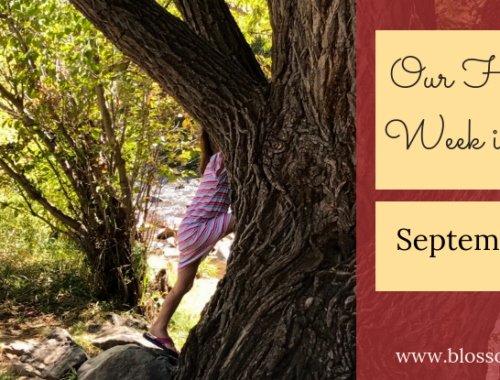 This was such a great activity, and it’s just one example of the myriad suggestions for outdoor learning in this great resource. As with language arts, we love to use lots of games for math. We use board games (like Sum Swamp), packaged card games (like Rat-a-Tat Cat), and lots of card games using a regular card deck from Denise Gaskin’s books. 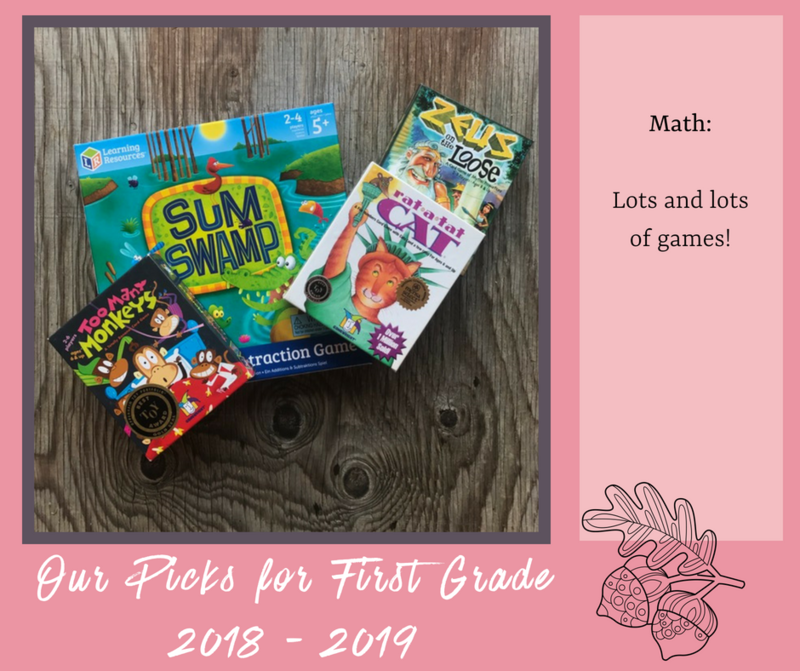 Most of these games are super easy to throw in a backpack, so they’re a wonderful choice for waiting rooms, or while little sister is in gymnastics class. 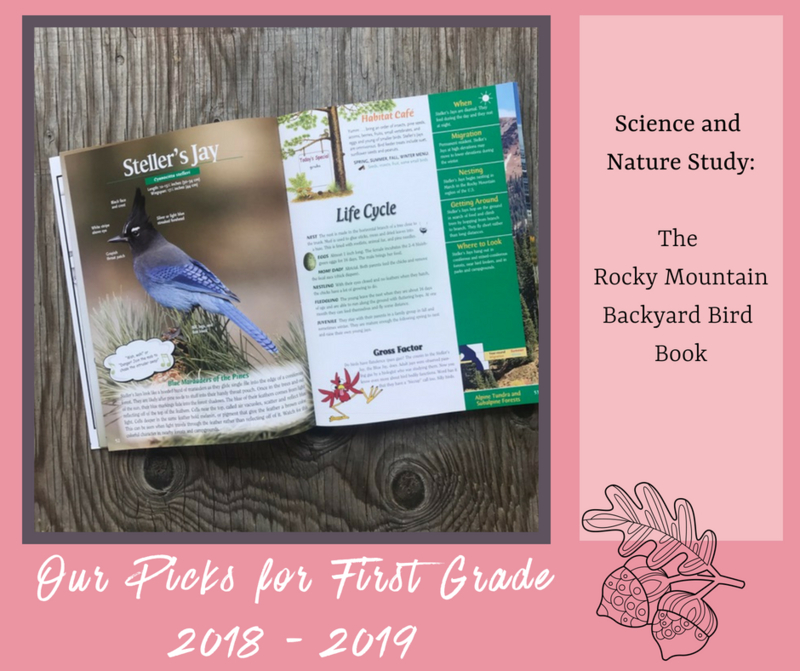 Blake really wants to learn all of the names of our local birds this year, so we found a great book at the Garden of the Gods gift shop on Rocky Mountain birds to use throughout the year. 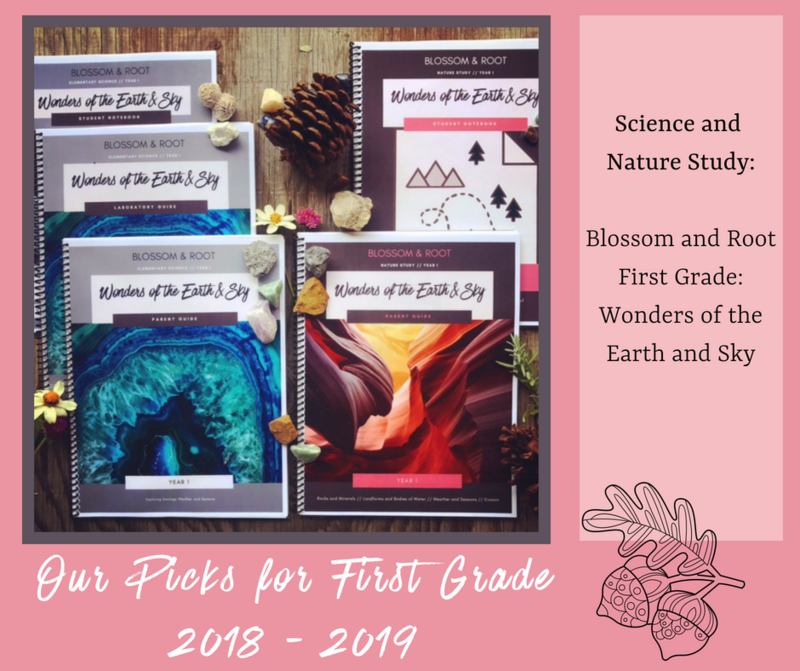 We’ll have it in our backpack for hikes and to identify backyard birds, and Blake will also be using the book as inspiration for her nature journal entries from time to time. 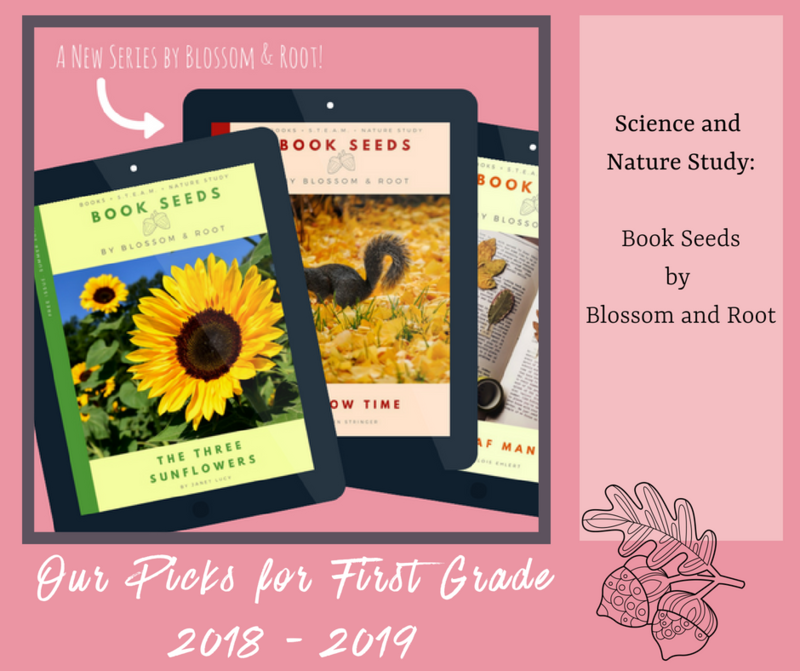 I love the way this book is laid out–it includes great information on each of their birds, their habitats, life cycles, and migratory patterns. 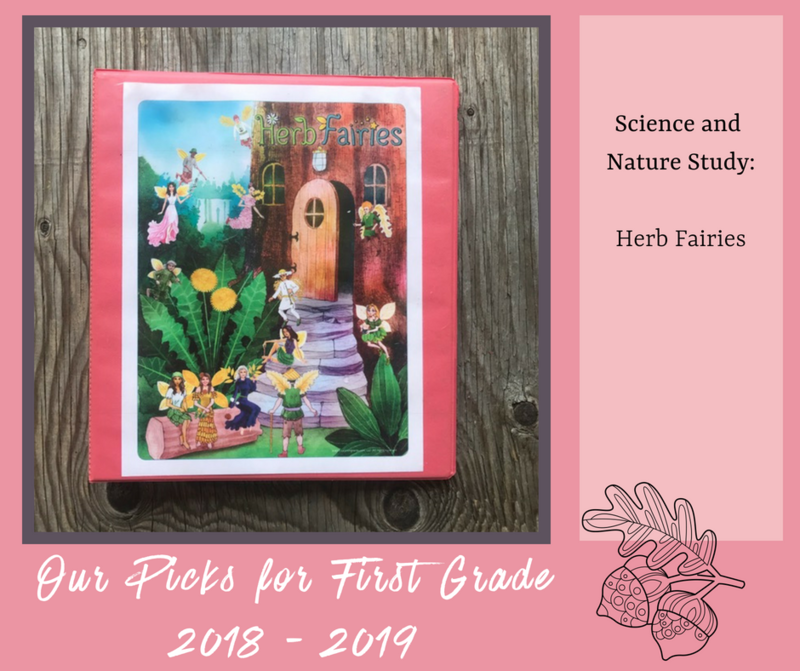 We have been using the Herb Fairies Book Club since March and really love it. We spend one afternoon a month listening to the audiobook and making recipes with the featured herb. Over the summer, we made a salve from calendula plants that we started as seeds in their bedroom window in March. We’ve already learned so much from this great program! We have been casually learning French over the past several years, but this year I’ve decided to be slightly more structured with our approach. 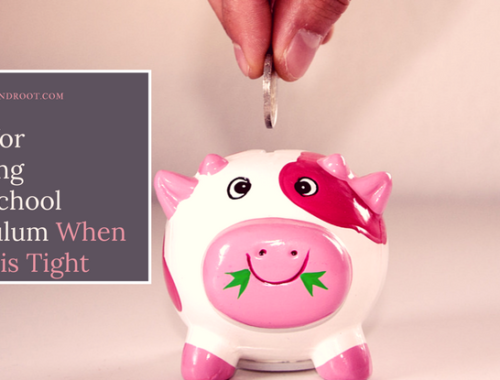 I found a great resource on TeachersPayTeachers.com (click here to see that store.) 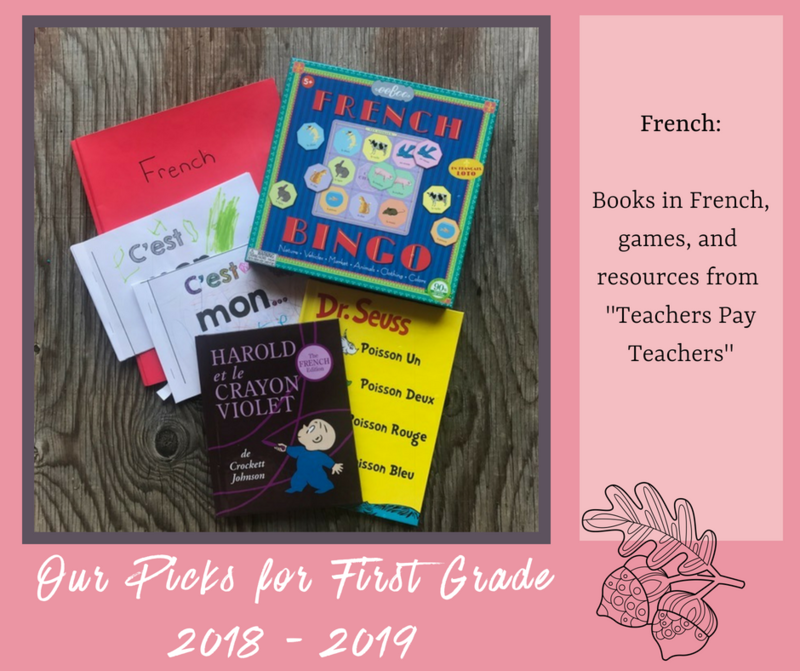 Each week, we work through one of her emergent readers together, play games (like French bingo), and read children’s literature in French (like Harold et le Crayon Violet.) I also play a lot of French music for the girls. We absolutely love SQUILT and all of the wonderful programs it has to offer. We decided this year to use their “eras” program to explore the Baroque and Classical eras of music. We may also throw in the “Meet the Instruments” program–it looks fabulous! 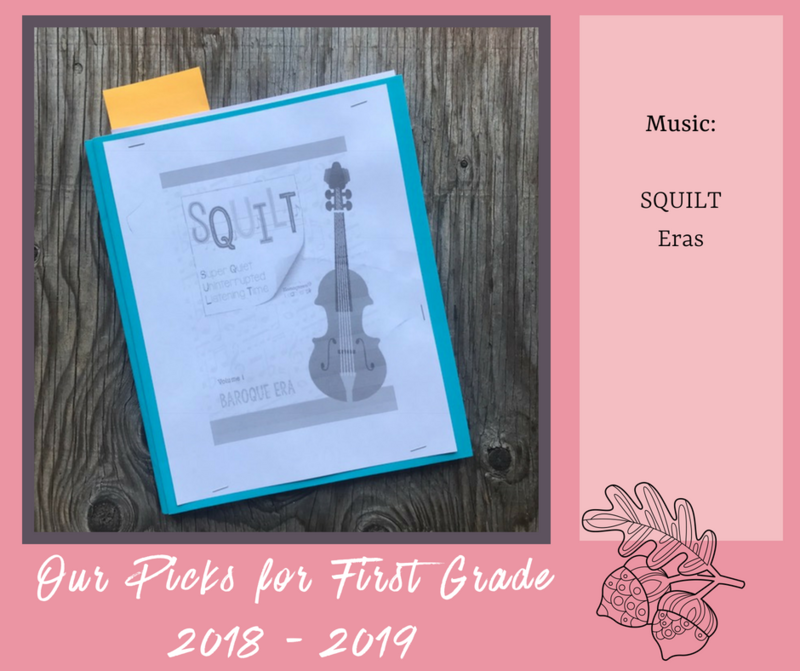 SQUILT is so easy to use and has been a wonderful addition to our homeschool for over six months already. Highly recommend! Blake is attending a homeschool enrichment program every Monday this year and will get a lot of art and music in during that time. 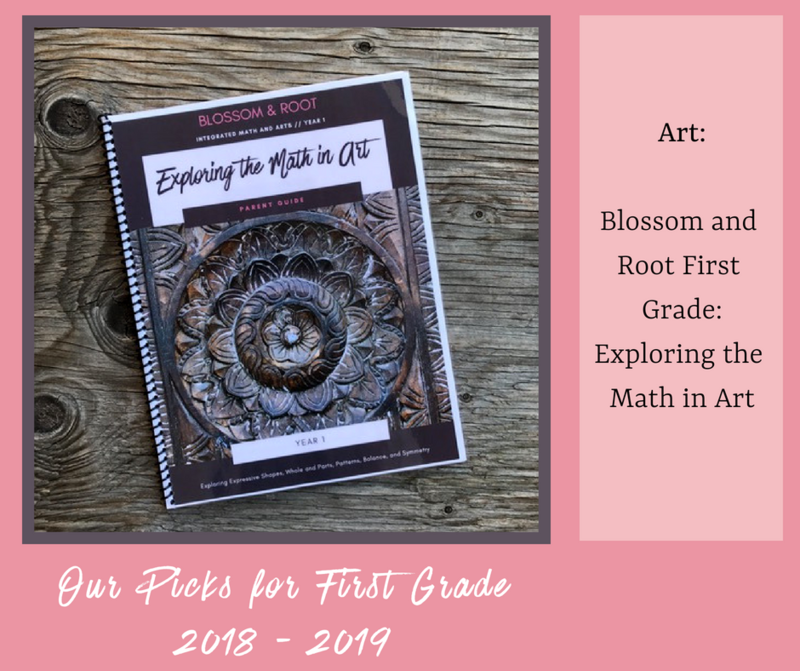 However, we will also be using Blossom and Root’s first grade art program, Exploring the Math in Art. 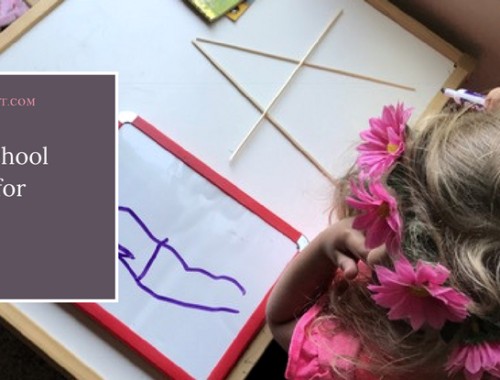 These picture studies and corresponding hands-on art projects are designed to explore various math concepts in art: shapes, patterns, balance and symmetry, and whole vs. parts. Featured artists include Warhol, Kandinsky, Matisse, Mondrian, Frank Lloyd Wright, Seurat, Van Gogh, Aboriginal artists, William Morris, modern artists working in shadow sculptures, and more! 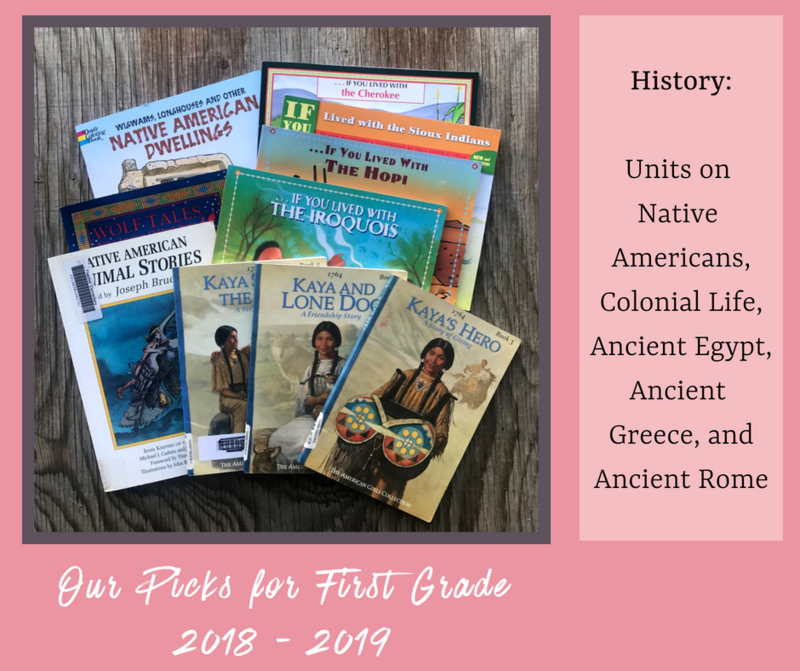 For history, we will be covering a few unit-based studies (Native Americans, colonial life, Ancient Egypt, etc.) We will use a combination of books I have gathered, movies, field trips, cooking projects, and maybe a few art or craft projects as well. I actually don’t plan much of our unit studies ahead of time. I spend a lot of time collecting books, and then we kind of just go with the flow each week when it’s time to cover that subject. I approach geography and culture in a similar manner to history. 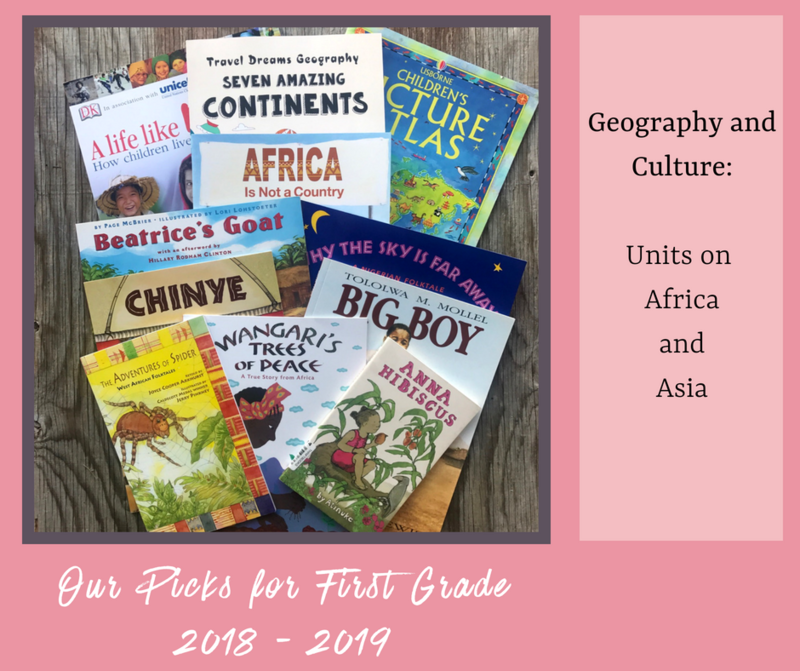 We will be spending the first half of the year learning about Africa, and the second half of the year learning about Asia. 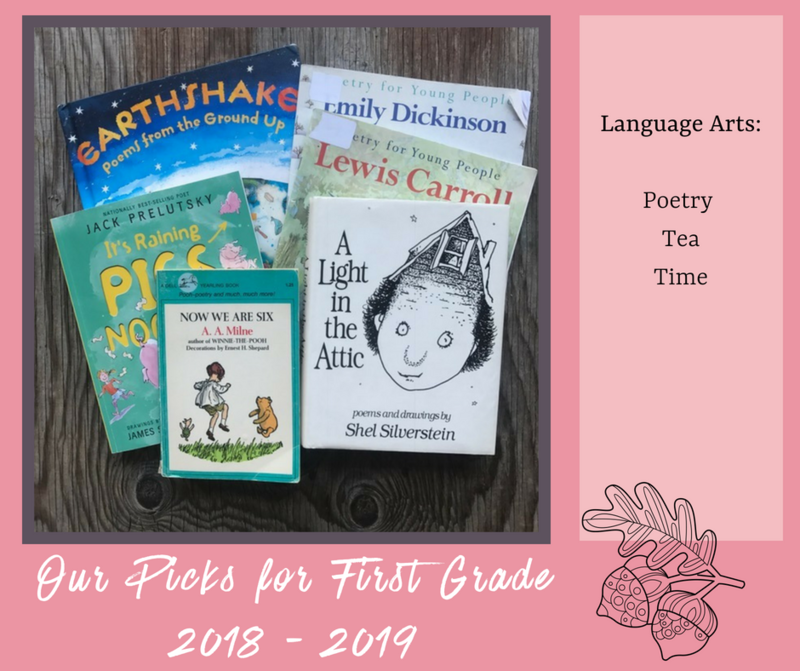 I’ve gathered a lot of excellent books and resources to use, and we plan to do some field trips, cooking projects, and maybe a few art projects from Pinterest. So glad you are enjoying SQUILT! Thanks for mentioning us!